Kahului Trucking & Storage, Inc.
KT&S has been integral in the growth of Maui, transporting goods and materials throughout the island since 1879. We started in rail, evolved to trucking and now offer full service container freight and dump truck service, self-storage, truck and equipment sales and rentals, and a truck service and parts center. Need to move? KT&S can help you with just the right truck rental to accommodate any size move. Home or business, our fleet of Penske® panel vans, economy vans, and flatbeds will help you get the job done. 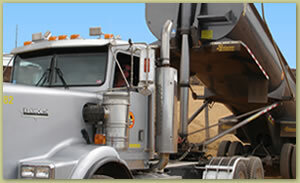 Since 1909, KT&S’s large fleet has served the general freight and dump truck industry on Maui. Our friendly and dedicated team focuses on providing superior and reliable service to our customers at affordable prices. Services include transporting bulk and consolidated freight, including delivery to and from the dock. We haul heavy equipment and offer end dump and belly dump hauling and flatbed deliveries. A-Storage Inn is the ideal storage facility in Kahului. With over 340 units ranging in size from 5’x6’ to 10’x24’, KT&S can help you find the right size storage unit to fit your needs. Easy access to ground level units and 24-hour video surveillance and live security at night provides renters with ease and comfort. Ask about our monthly specials. KT&S offers a variety of equipment from forklifts and manlifts to trailers and cranes available for rent and sale. Our customer service team will work with you to choose the right equipment for your needs. We offer competitive rates on top performing equipment. Under the Napa Truck Center program, KT&S offers a full service truck repair and parts center. With an average of over 25 years of experience, our highly trained service technicians offer unparalleled selection of service options to fit all our customer needs. The Truck center can also provide customers with tow truck (wrecker or flatbed) service 24-7. For sales and rental, and parts and service information on the Big Island call (808) 969-3260 and for Kauai call (808) 245-4870. Call us today for service requests and parts check.